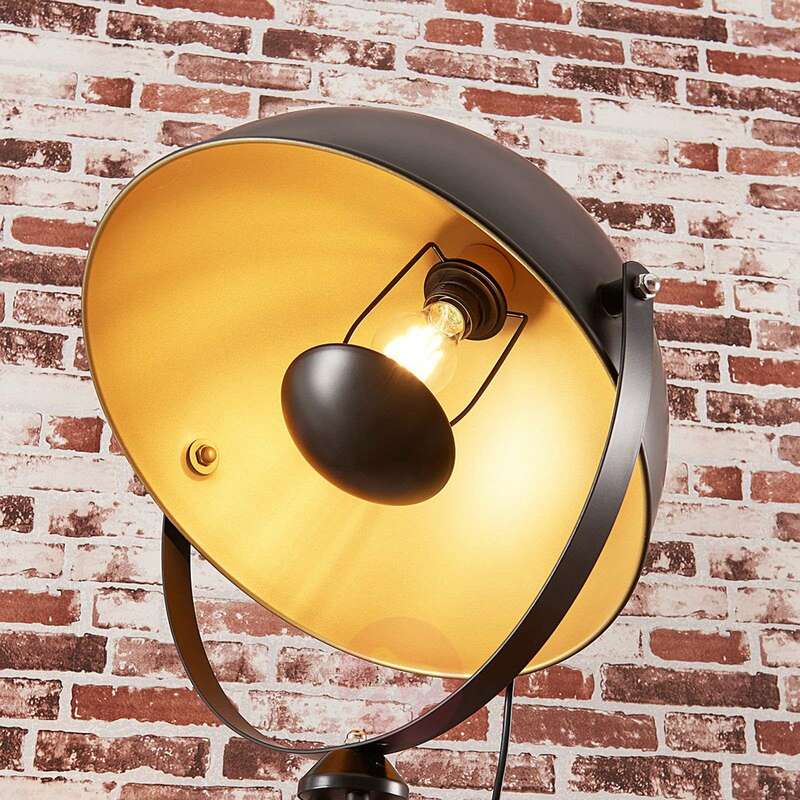 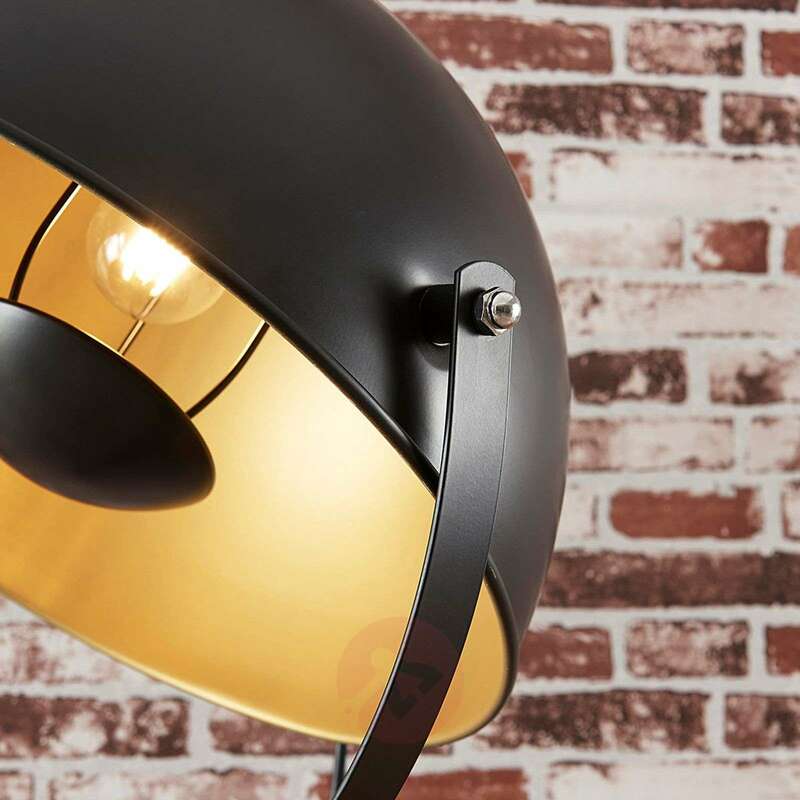 Meline goes best with modern styles but is able to generate very comfortable lighting with a warm gold tone thanks to the golden colour on the inside of the lampshade. 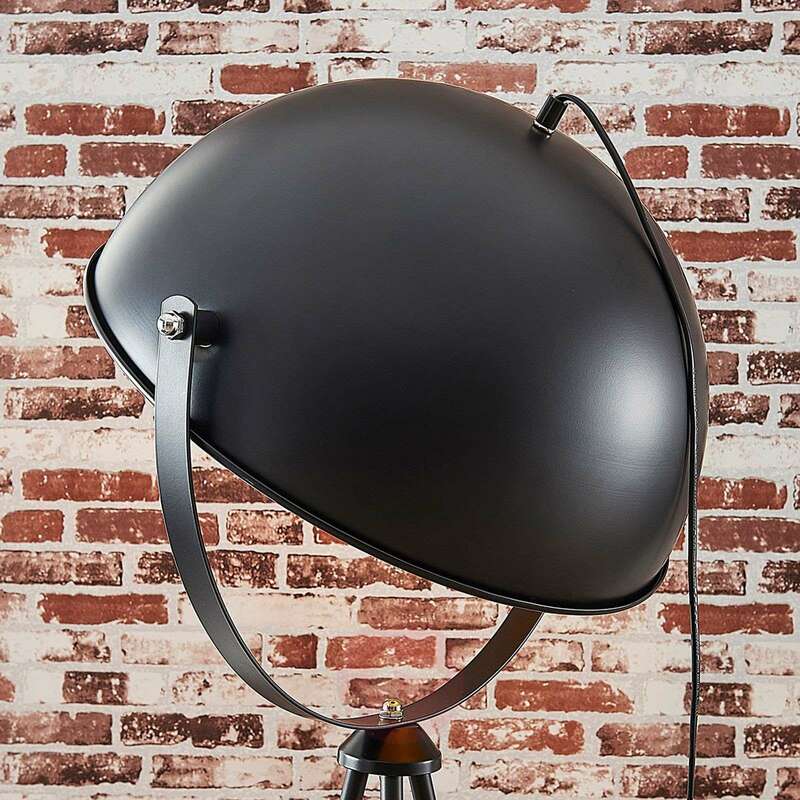 The lampshade comes in the shape of a hemisphere and can be adjusted using the joints. A round panel sits in front of the light bulb so the light shines indirectly to increase the cosy feel in the room. 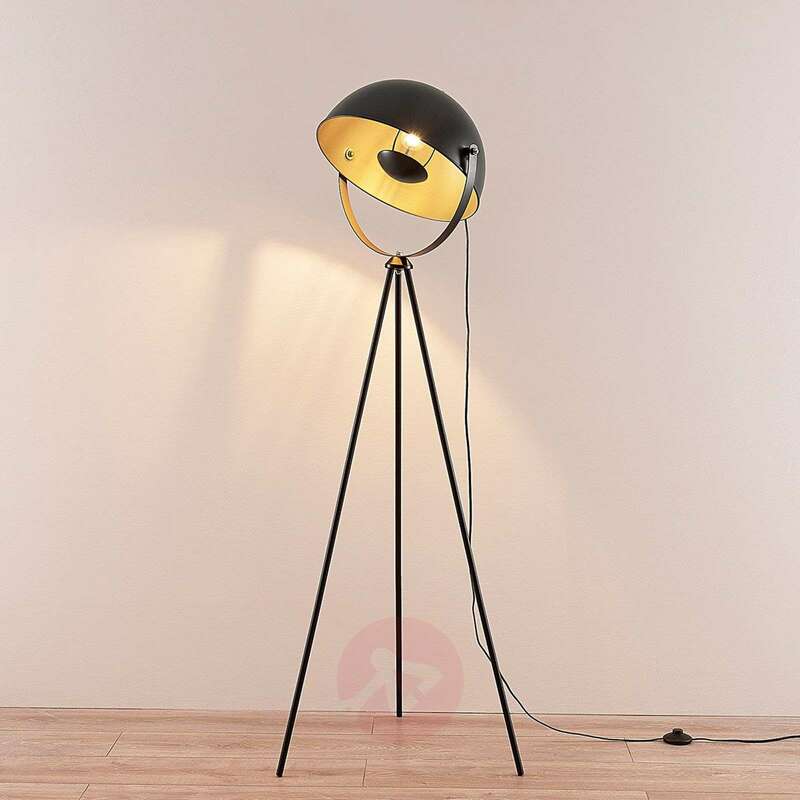 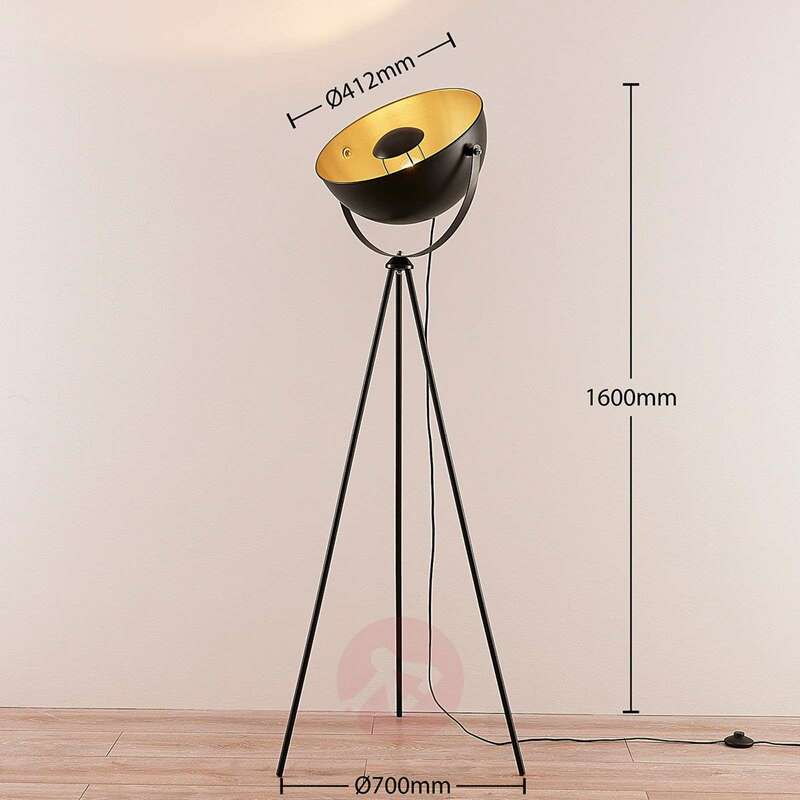 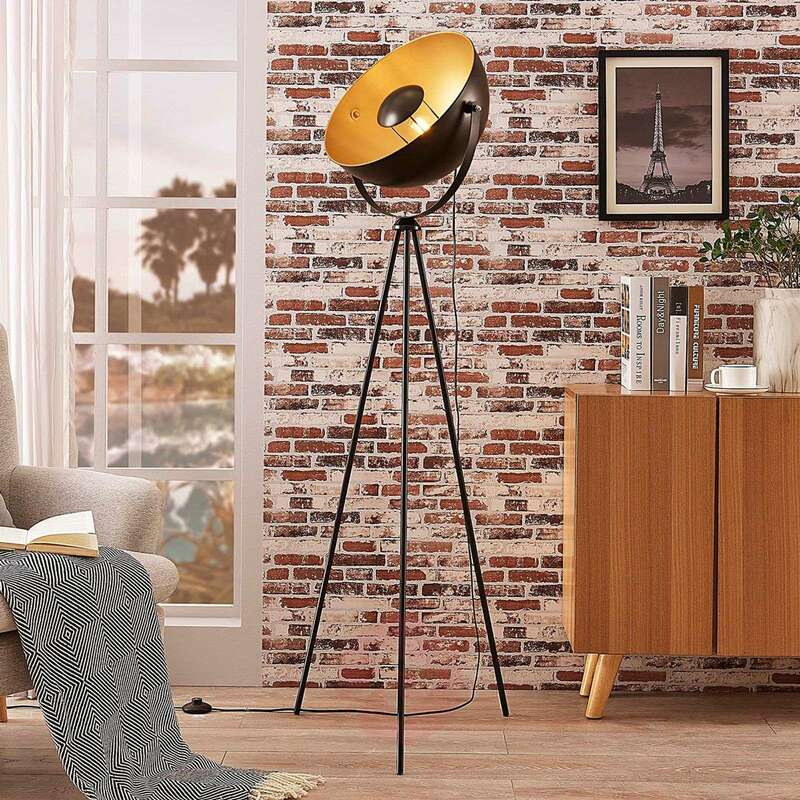 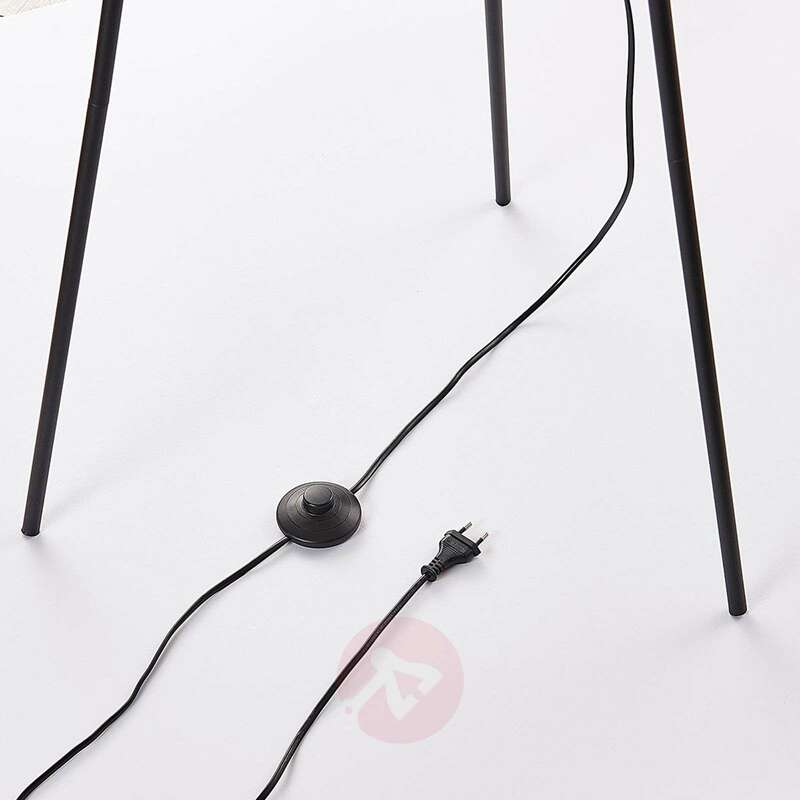 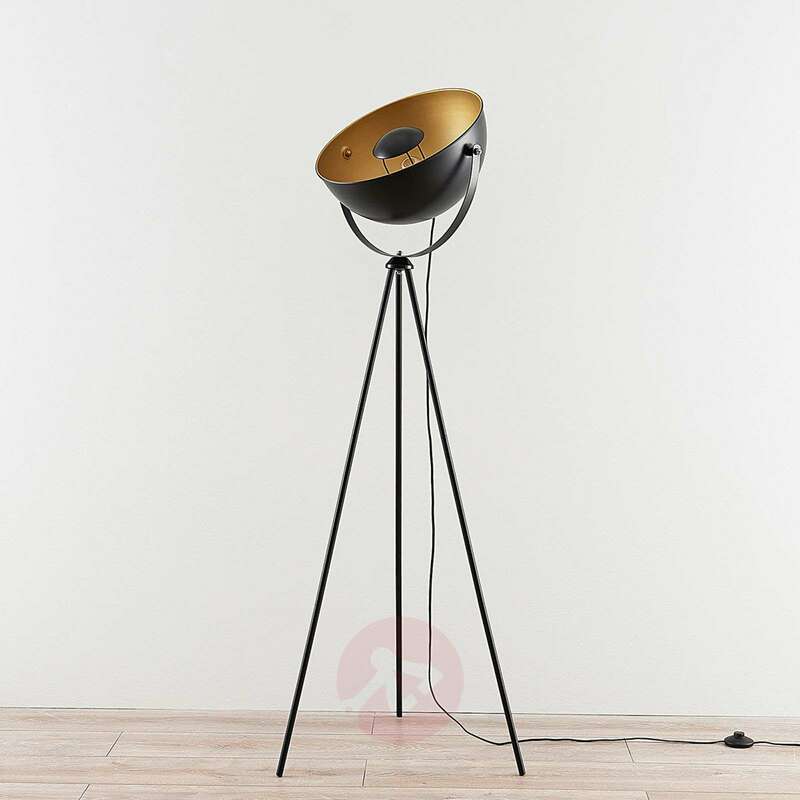 The floor lamp’s lampshade is combined with a three-legged frame, which is reminiscent of a tripod and thus sparks associations with classic spotlights from the world of photography or the theatre.